Android units are some of the most powerful and customizable mobile operating systems in the market today. When you buy an Android phone, it’s already pretty impressive and powerful. The most recent Android phone, the Samsung Galaxy S9, has already impressed several users because of its superb performance. One might think it’s not necessary to root the phone anymore, but there are still advantages that rooted phones have over even the most powerful phones. In this post, we break down the top ten reasons why you should root your Android phone ASAP. You think the only apps that are available are in Google’s Play Store? Android phones don’t always give you all of the features and apps that your phone can actually install. There are apps that carriers block because they can hack into Android’s system files, making them unavailable to unrooted devices. Rooting lets you install these apps, get the latest features from recent Android version updates, allow your device to install “incompatible” apps, and integrate features from other phones into your own unit. Rooting your phone gives you the freedom to power up your phone. If you’ve ever wanted your phone to perform tasks on a personalized “If-Then” system like, “If I arrive at work, then text my wife” then you’ll enjoy this benefit of rooting. Automation apps such as Tasker don’t require rooting, but rooted phones do make some difference when automating your phone. Some tasks such as 3G toggling, GPS, turning the screen on, and others need root access. If you know of any automation apps, you can unlock their full benefit by rooting your phone. There’s a thing called overclocking in rooted phones that allows you to either increase or decrease the performance of your phone’s CPU. Increase its speed to get better performance for demanding apps such as complex games with high graphics, or decrease it if you want to conserve battery life. #4 You can finally block ads! We’re aware that ads are how app developers make money, but they can get pretty annoying. To block these ads, you often have to pay for another version of the app. Rooting your phone lets you block certain apps on certain devices. No more game disturbances. Yes, everything. Normal backing up procedures only back up a couple of things like apps and their data, but you won’t get to backup data that you might want to transfer to your new device. Safe rooting makes your life easier by backing up everything in your phone, including your apps, system data, and settings. Android phones always come with pre-installed apps called bloatware. It’s possible that you’ve never used them, and you might never find the need to use them at all. Some of these apps cannot be uninstalled, and they eventually take up most of your precious storage space. Rooted phones let you delete these space-wasting apps for good. Now it’s time to play developer. With rooting, you can gain access to every corner of your Android phone. You can do things such as customizing your keyboard, changing how your operating system looks — basically anything you can think of. There are plenty of forums that frequently discuss phone tweaks for your convenience. A kernel is responsible for helping your apps communicate with your hardware and other external devices. Having a custom kernel could give you better performance, heightened battery life and extra features. To flash a custom kernel, you can simply install a kernel manager. A custom ROM is considered as rooting’s best advantages. Some ROMs have powerful features that can change how your operating system works. Your Android phone isn’t really yours, when you think about it. Not until you root your phone, anyway. 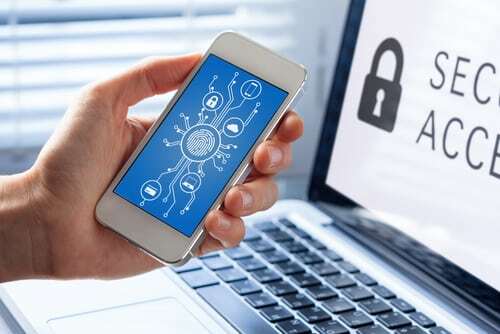 Rooting your phone gives you 100% access to your device, letting you unlock all of its possibilities, even the ones that would require administrative rights.